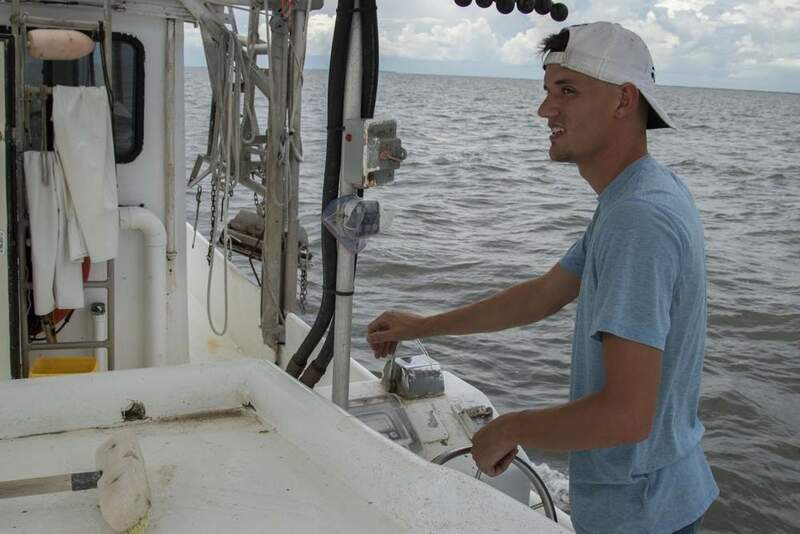 HOUMA — Fishermen trawling in the Gulf will have an easier time catching shrimp this summer because scientists are forecasting that the dead zone, or amount of dissolved oxygen suffocating marine life in the ocean, will be the smallest in 15 years. That means trawlers will not have to search as far for shrimp, fishermen will not have to spend as much on fuel and shrimp size should be at its peak, said Nancy Rabalais, executive director of the Louisiana Universities Marine Consortium in Cocodrie and chief scientist of hypoxia research for the National Oceanic and Atmospheric Administration. "If it’s smaller, there should be a greater area where people can trawl and trawl successfully," Rabalais said today. Scientists studying the dead zone off the coasts of Louisiana and Texas released their summer forecast Tuesday. 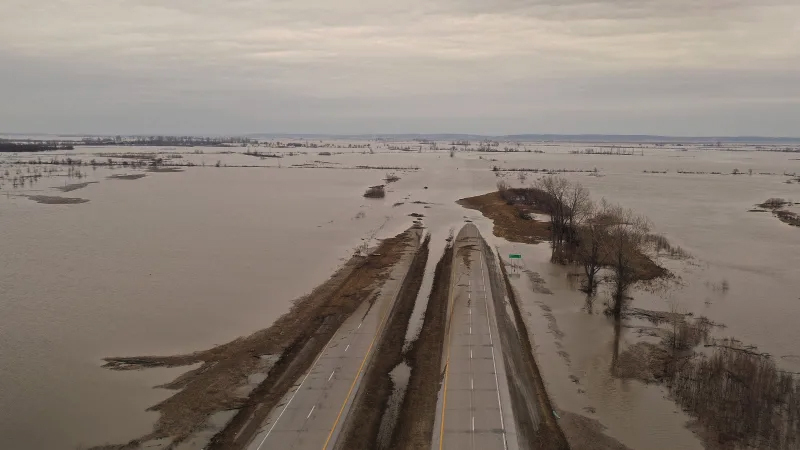 Predictions are that the dead zone, which forms in June and stretches from the mouth of the Mississippi River to the Texas coast, will be less than 1,400 square miles, an area the size of Rhode Island. That’s a fraction of the 4,900-square-mile area that usually forms when polluted water from the Mississippi and Atchafalaya rivers flows into the Gulf. Several factors are playing a role in a smaller dead zone, Rabalais said. 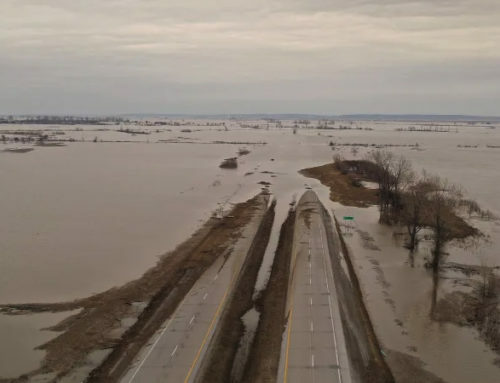 Elevated amounts of water, pollutants and nutrients flowing from farmlands in Northern states were discharged into the Gulf early in the year. 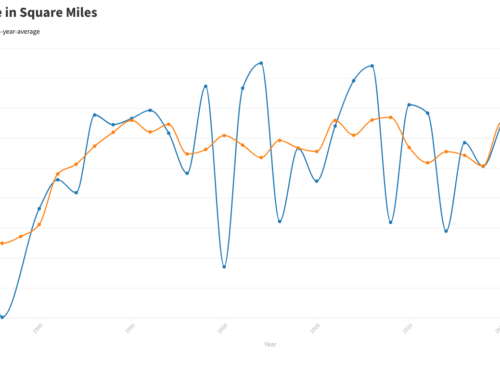 The January and February influx meant high amounts of discharge were dumped into the Gulf early. 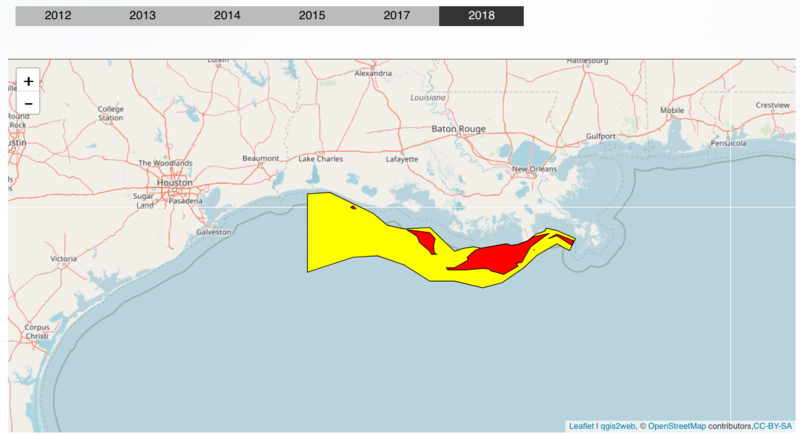 There was a lot of low-oxygen water in the Gulf in April and June, but Rabalais said a series of summer storms helped make the dead zone smaller than usual. 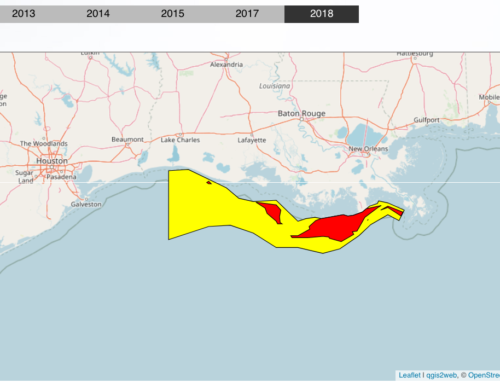 A consolidated dead zone is an unlikely benefit of an active summer storm season because turbulent waters, wind and waves refreshed the water to encourage marine life. 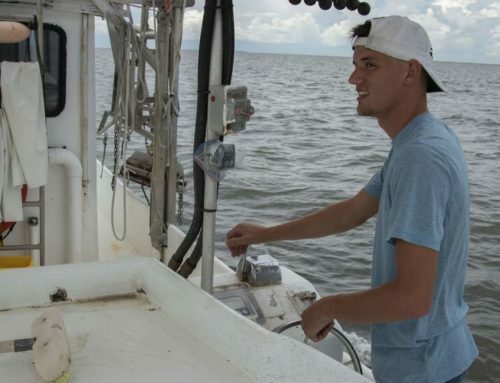 Rabalais is part of a team of scientists from NOAA’s National Coast Data Development Center and the agency’s Fisheries Service at Stennis Space Center in Mississippi. 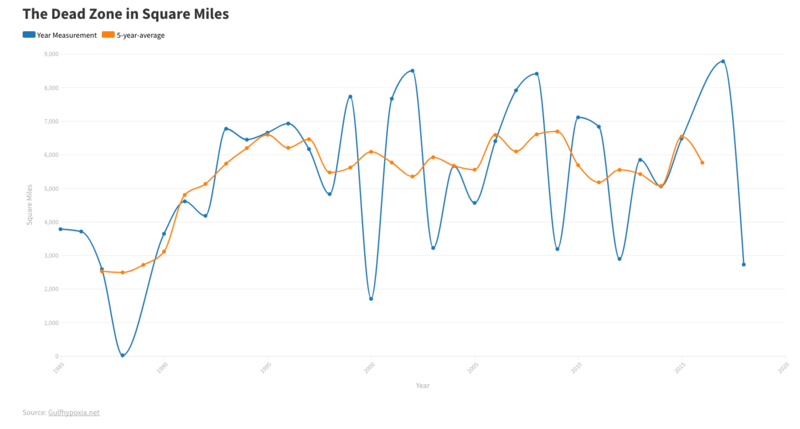 Forecasts are made with pollution data from the U.S. Geologic Survey and boat rides to the dead zone starting in January. Rabalais and her team plan to leave Saturday for their last trip. During their coastal voyages, scientists generate new maps examining the Continental Shelf from Brownsville to Corpus Christi, Texas. The final maps will look at the Texas-Louisiana coast. Started in 2003, the purpose of the dead-zone research is to improve the analysis of its effects. 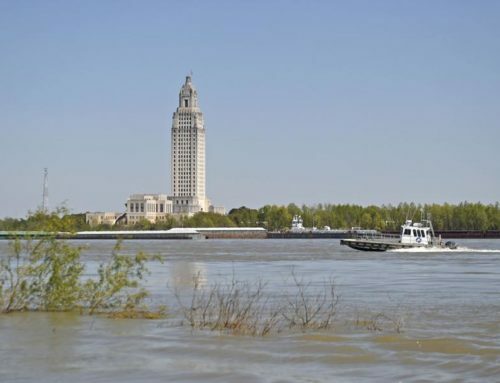 An action plan is being worked on at the federal level to get states that front the Mississippi River to work together to reduce the amount of pollution flowing into the Gulf. Agricultural practices, farm animals and municipal and industrial waste near the top of the river eventually make their way down to New Orleans before discharging into the Gulf and forming the dead zone.